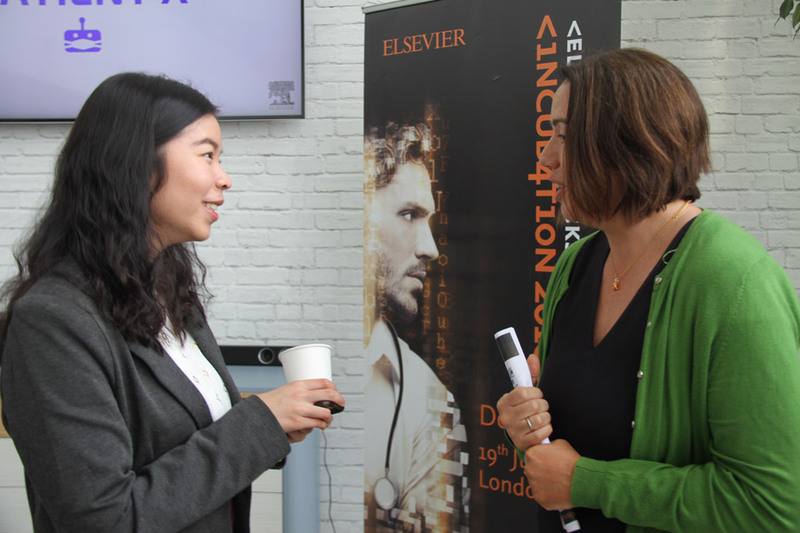 What were the best bits about Elsevier Hacks last year? The best part of Elsevier Hacks was definitely meeting all the other medical students from around the world. While we only had a few days together (48 hours to be exact! ), we had so much in common and formed bonds in a very short time. To be able to work together with other students from different parts of the world was incredible. My favourite moment was probably the presentation of all the pitches to the judges as each team’s work was celebrated one after another. Team Patient X are building a chatbot which will allow medical students and junior doctors to practise clinical reasoning and the decision making process in a safe simulation environment. Originally, our product focused on working up a patient from start to finish, walking them through taking a history from a patient, ordering physical exams, investigations and tests and then deciding on a treatment plan. However, through the incubation, our product has now evolved to focus mainly on the investigations and treatment plan. We really want to place the focus on the diagnostic decision making process central to deciding on what tests to order and what medication to prescribe, after being given the patient’s clinical information. Medical students don’t get opportunities to actually order these tests and treatments for patients during their clinical placements. While they do observe the doctors doing so, this is not an ideal situation since they will be the ones making these vital lifechanging decisions when they graduate and become doctors in the very near future. Can you tell us more about the specific user you have designed your prototype for? Sometimes, medical students aren’t always allocated to large teaching hospitals. Thus, they aren’t actually exposed to the huge variety of cases. For example, some students may never get exposure and learn how to manage challenging trauma cases. Or they may not have been given a prior hospital placement in a particular specialty and thus, be a bit lacking in that area of clinical practice. We believe that this app will help such medical students refine their decision making process and also know how to manage similar clinical scenarios in the future. Ultimately, we hope that by helping shape more competent and confident junior doctors, better quality care can be provided for our patients’ benefit. What has been the hardest part of the incubation process? The hardest part of the incubation program has definitely been managing our time. All of us medical students on the team have had exams and assessments in the past few weeks so time management has been really important. Also, it has been a challenge for us to go beyond our comfort zones, such as taking on the role of the designer or technology expert. But all in all, the challenge has been very exciting and we’re thrilled to have learnt so many new skills. What has the experience of working on this project been like? I can’t even describe it in words! It has been out-of-this-world and I don’t think any medical students have been given the opportunity to venture out into the world of technology and startups! It’s all very foreign to us and we’re so thankful for the mentorship and guidance we have been given in this project! We definitely wouldn’t be able to do it without all the people helping us out! What was it like to work with Elsevier’s mentors? It’s been such a privilege to be able to share our work and ideas with experts in this field of medical education. The mentors have been so approachable and helpful, and have really helped shape our team’s vision for our project. What piece of advice resonated with you the most? We’ve learnt what creating a MVP really means and making sure that it does one single function well is the most important part. After the Crash Test, what did you focus on as Demo Day drew closer? We worked on refining our pitch and making the changes after the feedback given from the Crash Test. We also needed to create an interactive product which the judges and jury could test out. Lastly, why do you think Patient X will win the incubation prize? We think Patient X has a chance of winning the incubation prize as our product really goes beyond making it easier to study as a medical student. Our focus is on creating competent junior doctors which our patients and their loved ones can put their trust in. We believe that this app has the potential to improve the quality of care delivered in hospitals and for better health outcomes in patient care.